Better Homes and Gardens had a beautiful dining room in greens and oranges in their April issue. The bookshelves had fabric backing with white knick knacks inside. Very pretty! 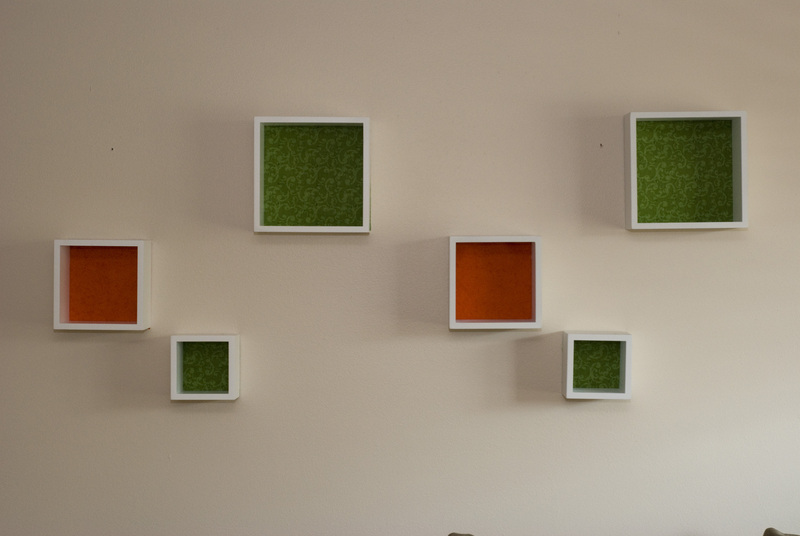 I don’t have built-in bookshelves, but I thought it would be a neat idea to use Decorative Wall Cubes you see at Kohls and Target to make my own “shelves”. You can even change the fabric depending on the season of the year! 2. Trace the boxes onto a piece of paper. Cut out the paper to the size of the box. 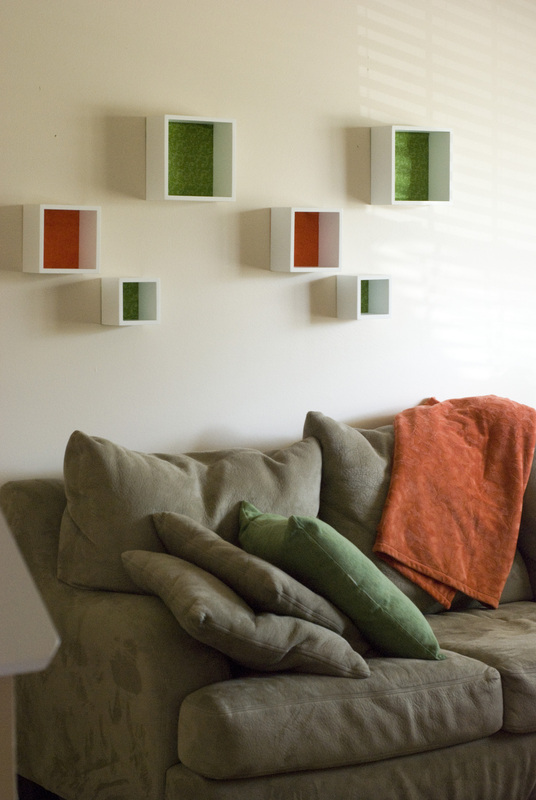 You can use this to create the pattern on the wall and where you want to place the boxes. You also use these pieces of paper as a template for cutting out your fabric. 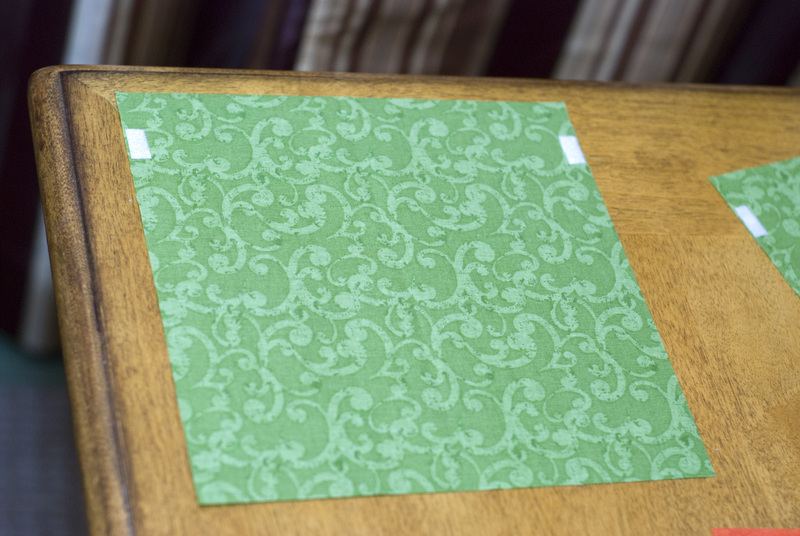 Cut your fabric slightly smaller than the paper so you don’t see it when you adhere it to the back. 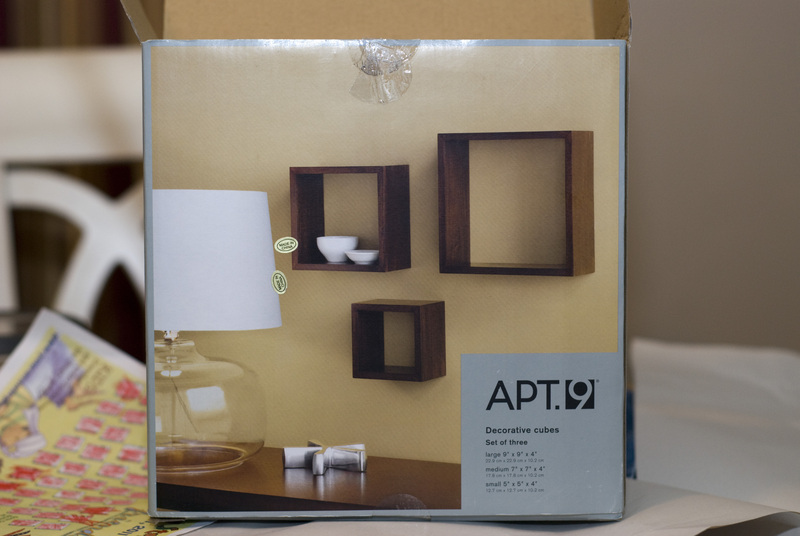 I used the accent fabric for the middle size boxes and main color fabric for the large and small boxes. 3. Cut velcro about 1″ long. Then cut the velcro in half lengthwise. This will make it skinny enough to adhere to the back. Hot glue the velcro to the back of the box and the fabric. You can eyeball it or measure the placement of the velcro. 4. Let dry. 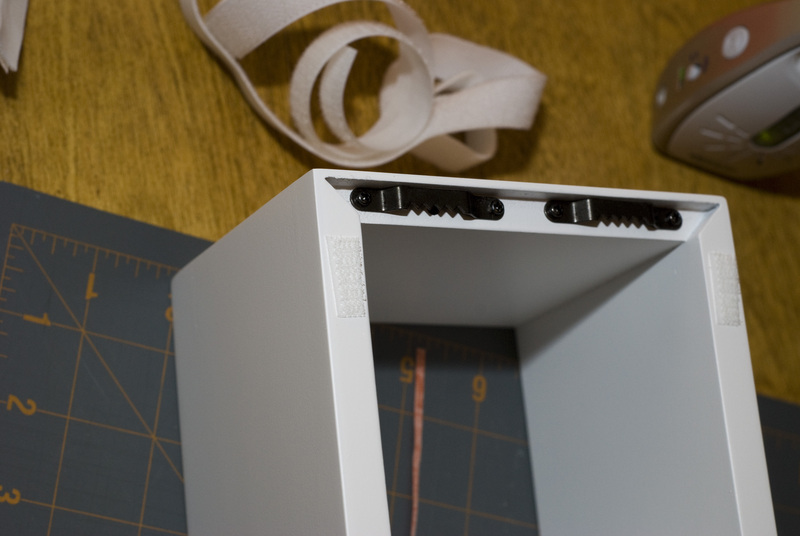 Put fabric with velcro on the back of the box and hang. 5. When hanging, you have to kind of scoot the fabric up and behind the nails. It takes a little finessing, but it doesn’t take long.